Ever wondered what the world looks like at the micro-level of an individual seedling? What does it do during it's lifetime? Where does it go and how does it change it's appearance over time? 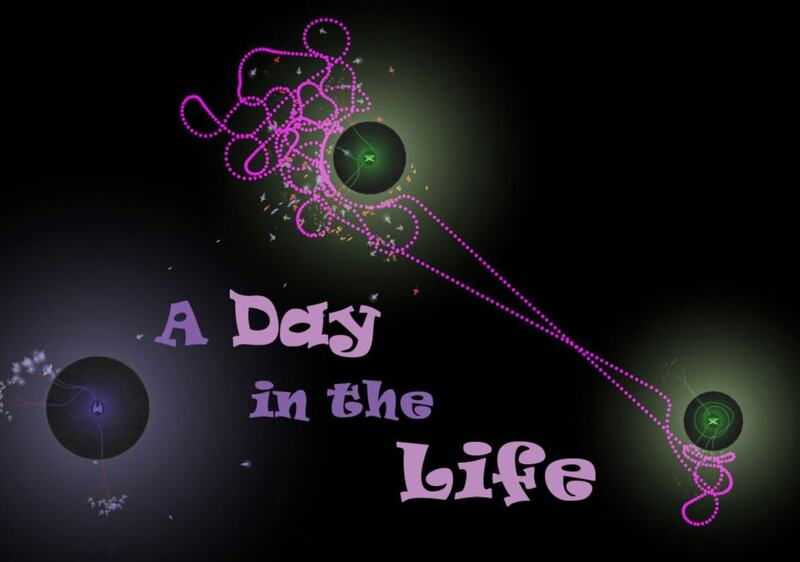 Join a seedling on it's life journey and immerse yourself in its world with..A Day in the Life. Playing Eufloria, it's difficult to observe the details of "life" in the Seedling World; you're too busy managing the seedling armies on a macro level to sit back and appreciate the exquisite beauty of the game's graphics and seedling AI behavior on the micro level. Now, with this map, you can take your time and immerse yourself in this alien universe at a level you've probably never seen before. This map is not for everyone. It is not intended to be "played". It is merely offered as a window into an aspect of Eufloria you more than likely have not been able to study before. Personally, I find it fascinating to zoom down to the level of an individual seedling and watch it interact with it's world. I enjoy seeing them fold their wings back for the long flight to the next asteroid, or notice how seedlings of similar attributes tend to flock together owing to their speed differences. Watch as their color deepens as they grow weaker from repeated attacks. As the seedlings fly to and fro, you observe other flocks of seedlings flying by to unknown destinations, and you start to really get a sense of the massiveness of this very dynamic world called Eufloria. I've included a "control panel" with various options which will enable you to interact with the game. I will leave it up to you to discover the functions and determine your own preferences in their use. In the code, I've highlighted several options you can tweak to your own tastes as well, or adjust according to your computer's performance capabilities. Merchant AI courtesy of Aino. Any problems or suggestions for improvement please leave your comments...well, you know what to do! Fixed error occurring in maps with high number of asteroids due to AI planting trees before Seedling Array is populated. Player now has more options to customize map in Level Setup. Map dimensions now automatically conform to monitor dimensions. Increased default Tracking data points to 2500. If game becomes sluggish hit "Next" button to reset Track. Array Population code is now more robust to accommodate greater map variety and easier portability to other maps. Increased efficiency in random seedling tracking selection for quicker response. Modified "Style 2" - now as originally intended thanks to copying formula provided by Annikk. Version number now shown inside "Quit!" button. Very unusual and interesting. Thank you. Rooted for blue. Blue won. I love it! How do you come up with this?